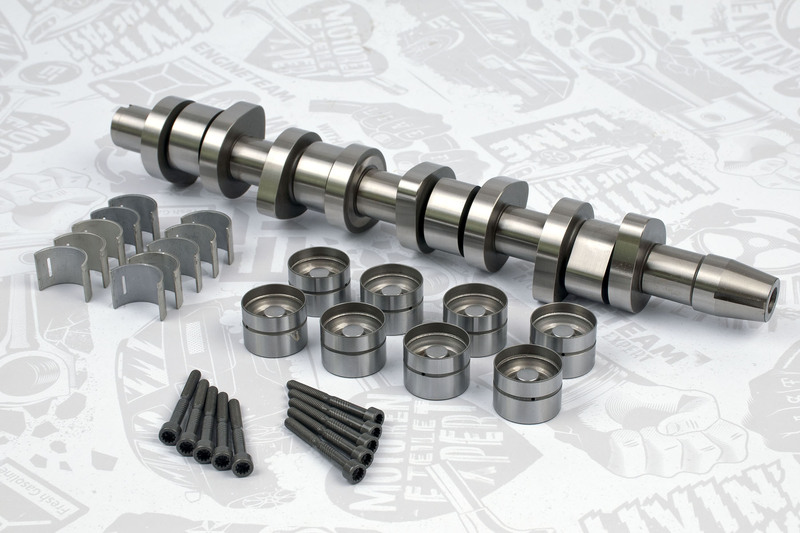 Camshaft kit ET Engineteam with cast iron camshaft. 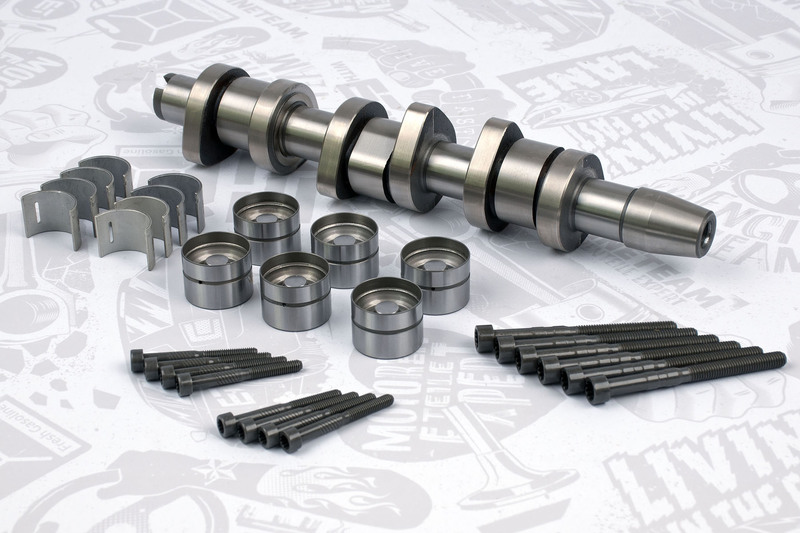 To be installed in BXF, BXE, BSW, BRU, BLT, BLS, BKC, BJB, AJM, ANU, ASZ, AWX, AXR engines and more. 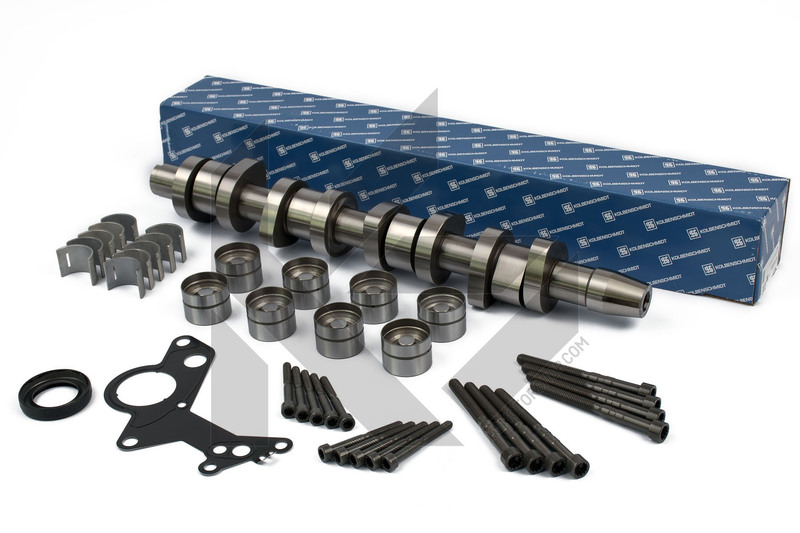 For cars VW Sharan / Polo / Golf / Jetta / Transporter / EOS / New Beetle, Seat Alhambra / Leon / Toledo / Ibiza / Cordoba / Altea, Audi A3 / A4 / A6, Škoda Superb / Fabia / Octavia, Ford Galaxy and more with engines 1,9 PD from year 2003. 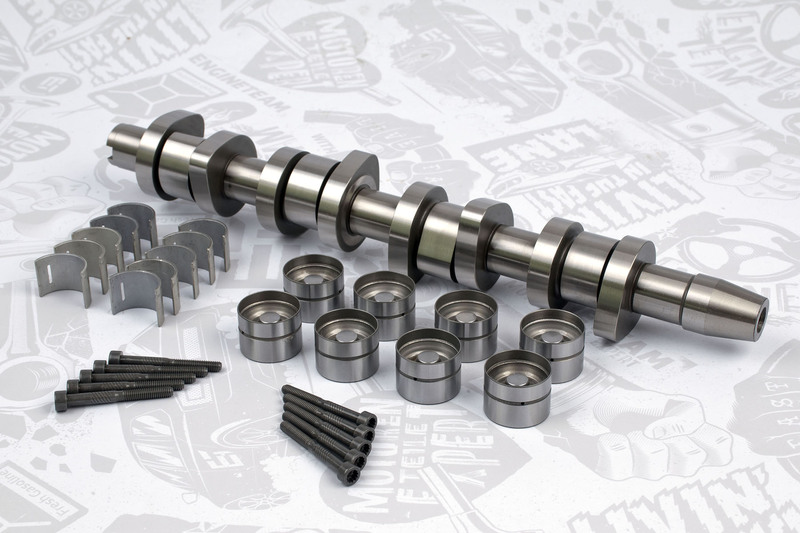 OE: 038103673A, 038103673B, 038103673BGLB, 038103673C, 038103673CGLB, 038103714, 038103714G, 038109101R, 038109309C. 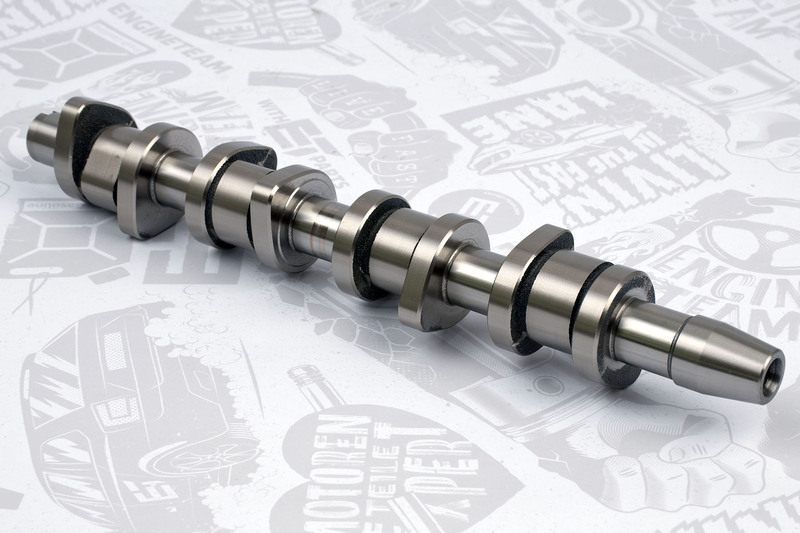 Pumpe – Düse (pump – nozzle system) engines are demanding for the perfect synchronicity of the individual components of the whole camshaft system. 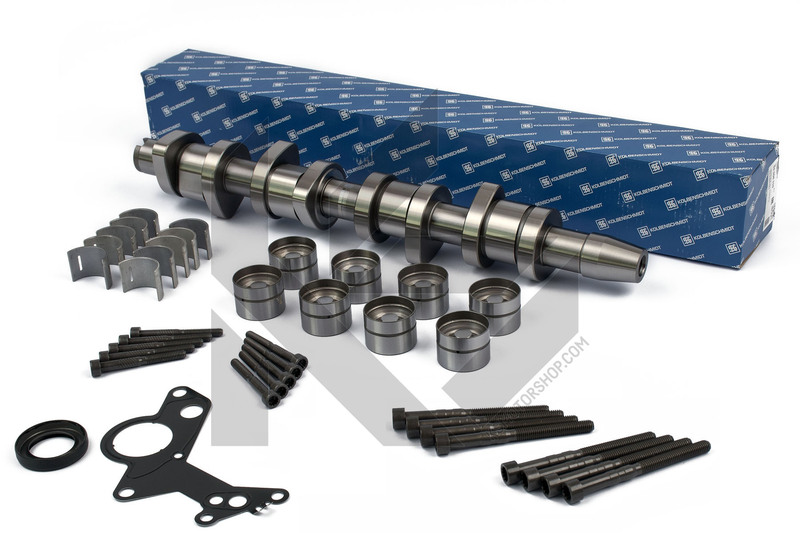 For this reason, it is necessary to change the other related components when replacing individual parts. 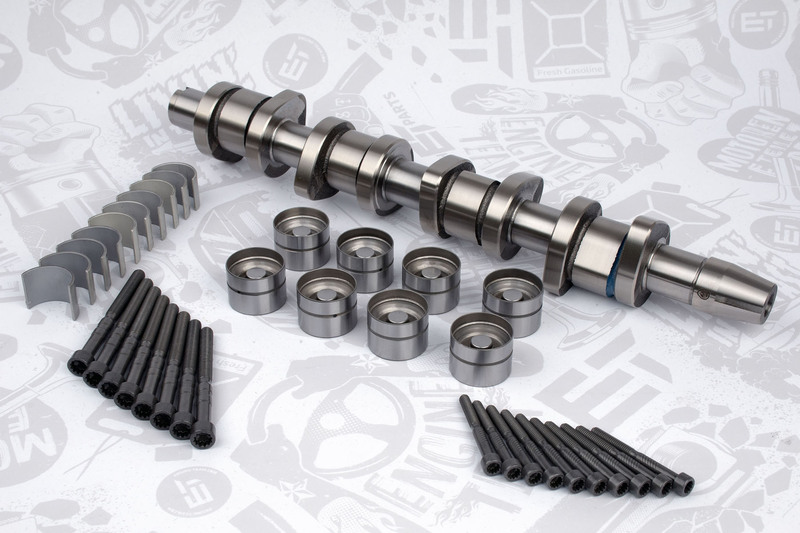 The HV0341 contains all the parts that car manufacturers recommend changing with each repair. 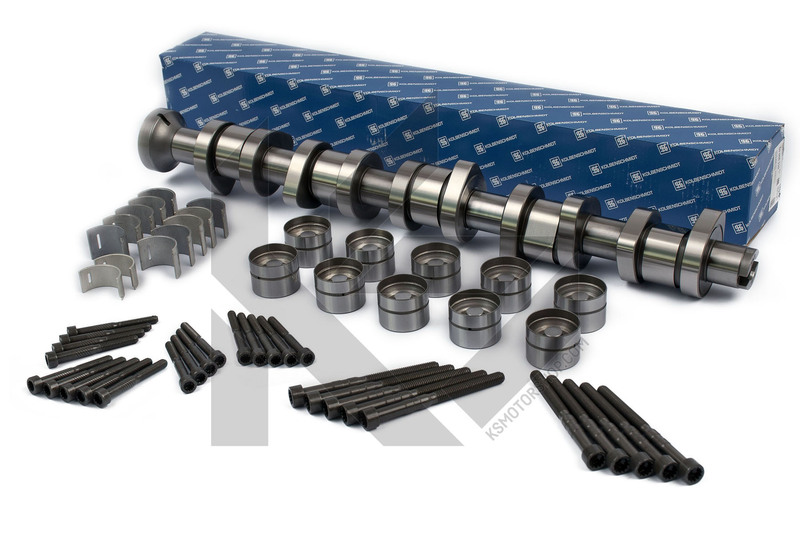 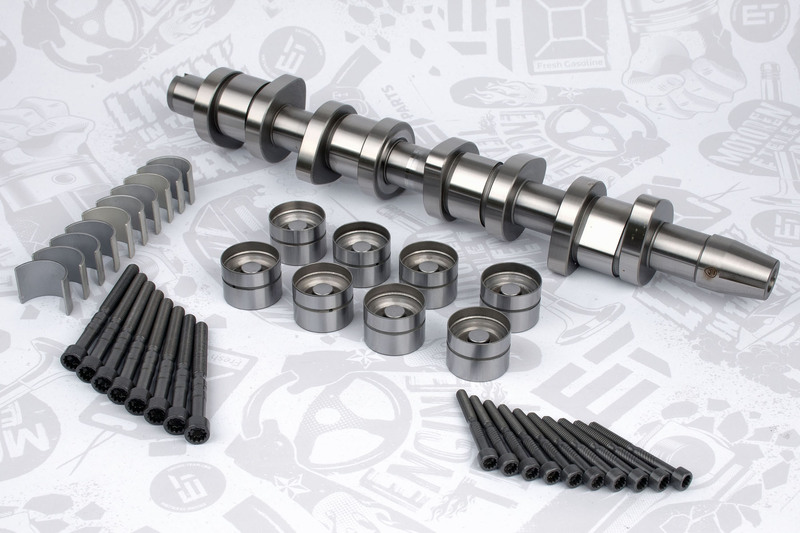 This set is with a cast iron camshaft, which is harder and therefore more prone to breakage. 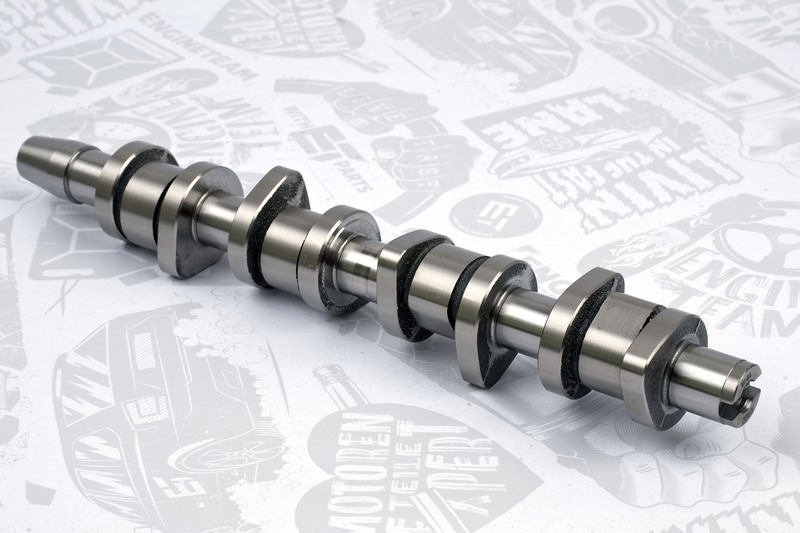 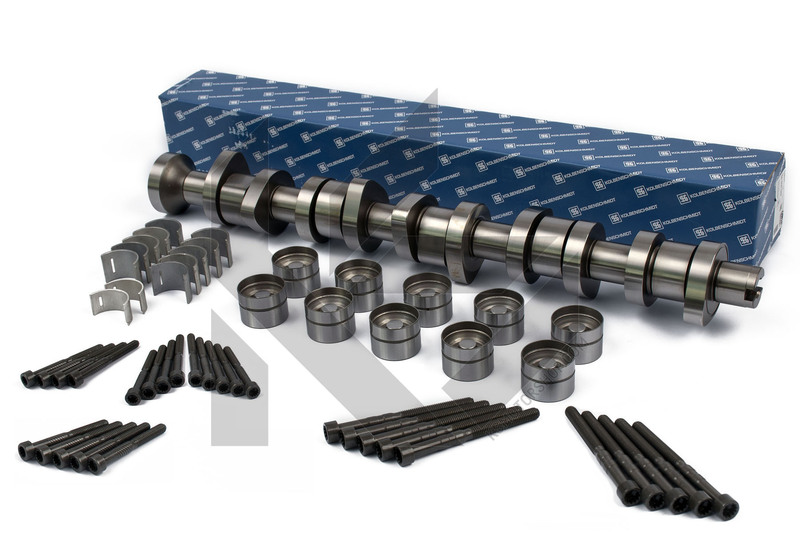 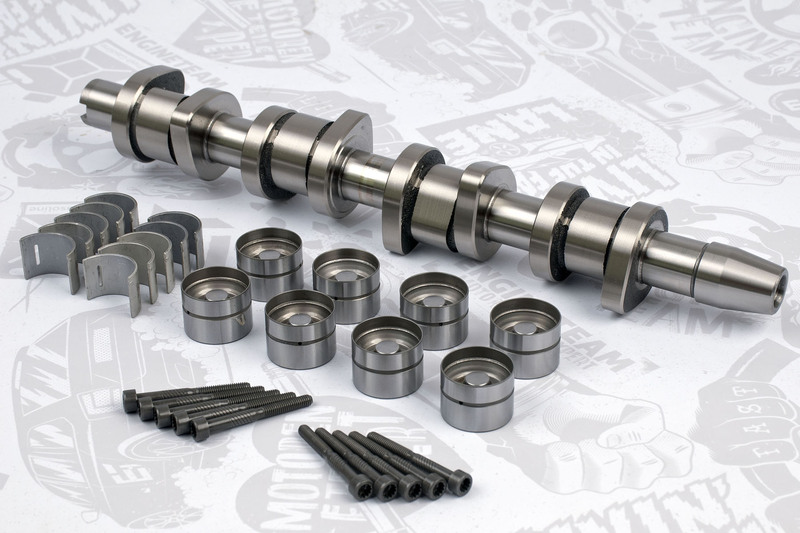 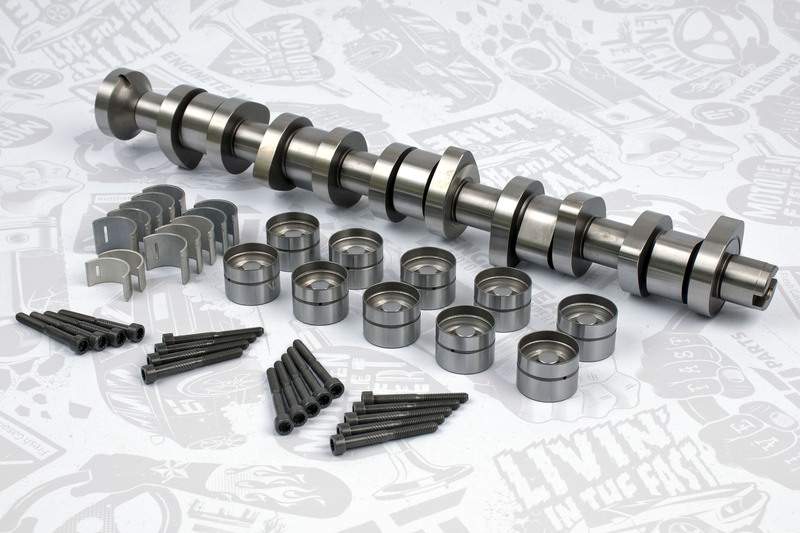 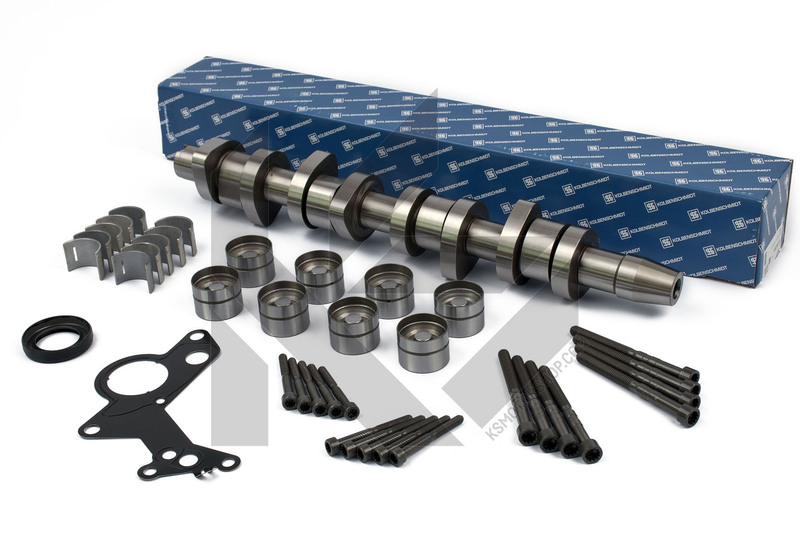 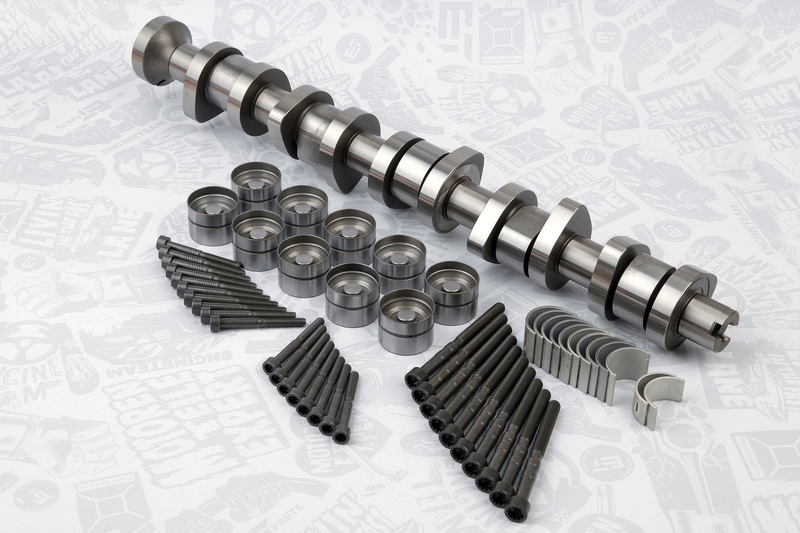 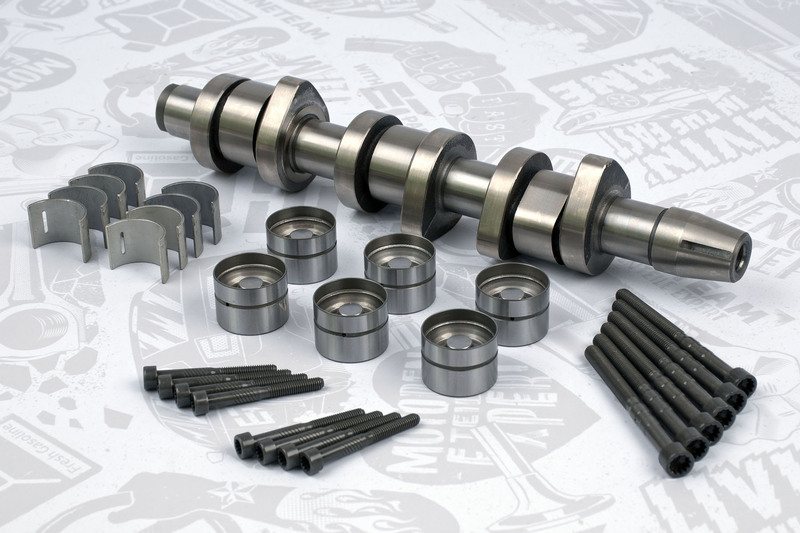 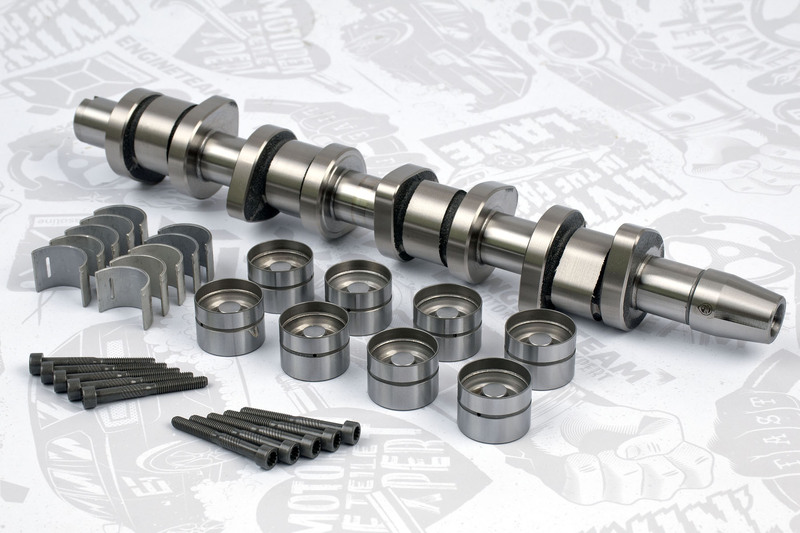 However, with the correct installation of the camshaft, its correct seating and the use of the recommended oil by the manufacturer, the cast iron camshaft can be used as well as the steel one.